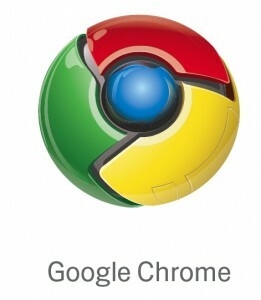 Another update and revolutionary product from Google is there upcoming Google Chrome OS. I’m pretty sure you are familiar with the browser version, which since the last update has become my browser of choice. Nothing comes close to loading Web pages, especially data intensive ones like Facebook.com. If you feel like trying it out, I highly recommend Google Chrome Browser by clicking here. But, will the Chome OS (Operating System) honestly be stable and ready to seriously challenge Microsoft’s OS, Windows 7, Vista and so on. Well, from what we know, that is not Google mission. The following is a collection of articles about previews and information Google has released. From Google Drops A Nuclear Bomb On Microsoft. And It’s Made of Chrome. Information also taken from Google Chrome OS FAQ and Google Blog. From Google Blog: Google Chrome OS is an open source, lightweight operating system that will initially be targeted at netbooks. Later this year we will open-source its code, and netbooks running Google Chrome OS will be available for consumers in the second half of 2010. From the tech crunch, Get Ready For The Google Branded Chrome OS Netbook. Please go there to read more on the Netbook that will feature the new OS. But honestly, there are few details. As of right now, details are unconfirmed on processors and other essencial hardware. So that is what we now now about the Google Chrome Operating System. I think we all have high hopes and from what has been said, there is a lot to be excited about. Google’s stock is trading at record highs, posting well over $600 a share. So if I was you, keep an eye on it and start investing because this stock has no where to go but up. As time moves forward and updates are realeased I will let you know. Thank you for reading, please feel free to comment. Hello, firstly I want to tell you that I love your blog. Great post, I fully agree with you. Have a great day maty. Theme by Domain Hosting, just check the bottom of anyone of my pages and follow the link. That should get you this theme. Thanks James, glad you got something out of my posts. See you around. Thank you Moses, glad you got something out of that post. Thank you Brody, glad you got something out of the post and Google Chrome. I sure like and use it often. Thanks Adam, appreciate you got something out of them. Please stop by again. A Very nice post . Every time i read your blog i see a unique perspective . In addtition , as a noob developer, i have to say that the structure of your blog is nice . Could you reply with the name of the template? . I recently came throughout your site and occur to be understanding along. I assumed I’d personally leave my initial comment. I really do not know what to say except that We’ve loved examining. Respectable word wide web website. I’m going to maintain visiting this weblog really frequently. Thanks for the post! Also, how do you like WP? I’ve been thinking of getting it but haven’t made a decision yet. hello nice page i will definaely come back and see again. Aw, this was an exceptionally good post. Finding the time and actual effort to create a really good article… but what can I say… I put things off a lot and never manage to get nearly anything done. Previous Previous post: Can Apple’s iPad Succeed with a $1000 Price Tag?